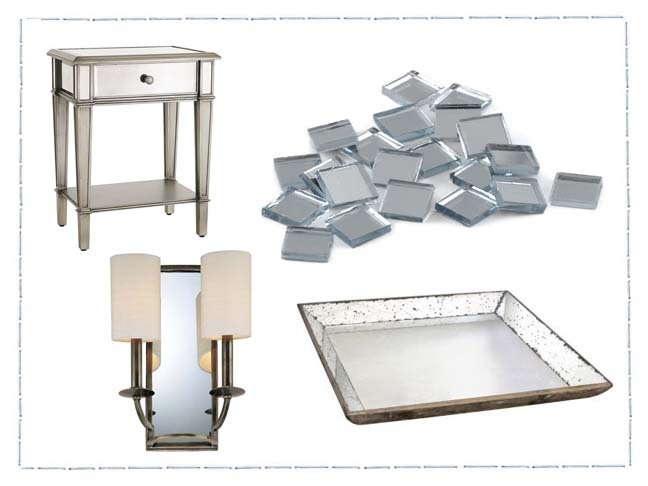 Well designed mirrored pieces rarely go out of style and now, more than ever, mirrored accents are making a hot comeback. Whether you start with something as simple as a classically framed wall mirror or decide to select a Hollywood Regency style nightstand, mirrors accents add an elegant, dreamlike quality to almost any room. 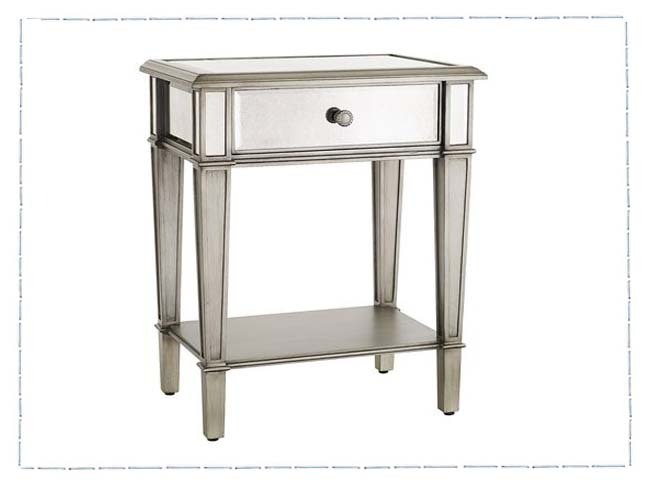 This well-priced nightstand with it’s bevel-cut mirrored edges, is a great place to begin using mirrored accents, because it looks both glamorous and expensive, but without breaking your budget. 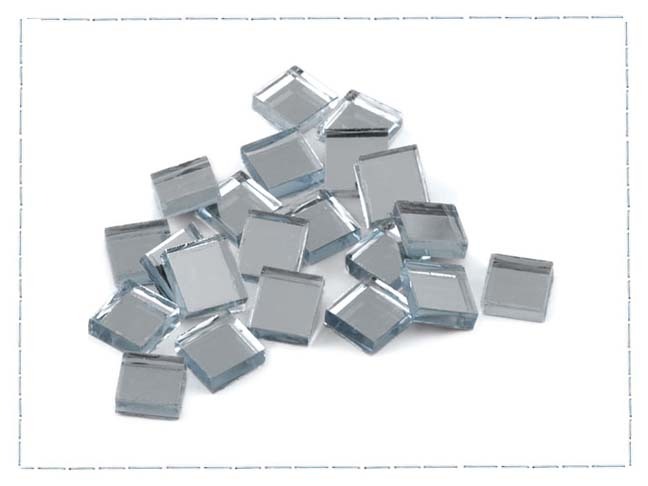 These mosaic mirror tiles come in packages of 25 and are limited only by how far your imagination will go. Use them to decorate the outside of a picture frame or in combination with glass or ceramic tiles to create your own art piece for the wall. Or you could completely inset them inside paneled cabinet doors or on a piece of furniture for your own unique statement piece. Let your imagination run wild, because whatever effort you put into making your project, will be more than reflected back to you. 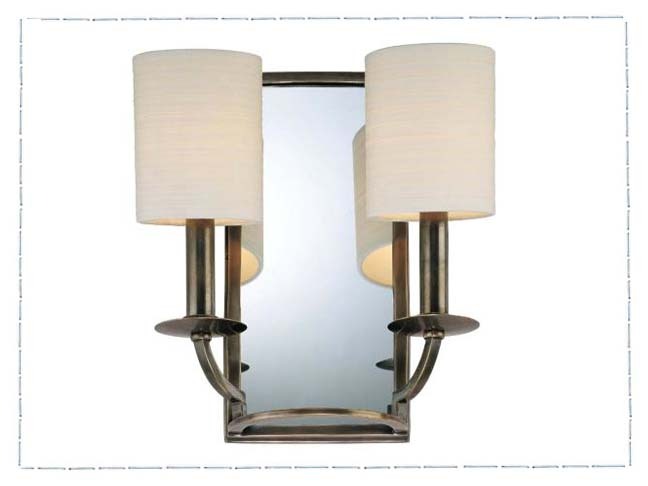 If you have a hall or entryway that is dreary and needs some added drama or ambience, this two light mirrored wall sconce might be just what you need. It’s made of solid brass in a distressed bronze finish and takes two 60 watt candelabra bulbs. 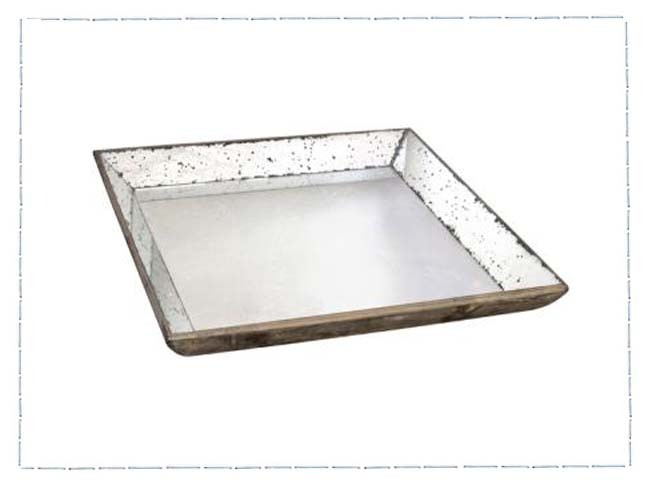 This large Roberto Glass Tray can be used as a serving tray on a coffee table or on top of a large ottoman. Or you can use it as a place to stack magazines or hold all those remotes for the TV that are always getting lost. It’s elegant antique mirror finish makes it look really expensive, but you’ll be surprised at how well priced it is.